Linguistics is the study of how language works – how it is structured, used and understood. This degree allows you to study linguistics in the context of the English language, so you can develop a deep understanding of the way humans communicate with each other. Core modules will introduce you to the history, structure and use of the English language and give you a good grounding in areas such as phonetics, syntax and conducting language research. But you’ll also choose from a wide range of optional modules covering subjects such as language acquisition, psycholinguistics, sociolinguistics, corpus linguistics and discourse analysis. You’ll study language in its spoken and written forms – you’ll engage with texts, but also undertake fieldwork and data analysis, gaining a wide range of skills that stand out to employers. Leeds has some fantastic resources for the study of linguistics and phonetics. We have a recording studio and fully-equipped phonetics lab for acoustic and articulatory speech analysis, as well as a linguistics lab including eye-tracking equipment and other resources to help with experimental research. You'll have access to the resources in the M&S Company Archive, where interesting work has already been undertaken to explore language use over a century of Marks and Spencer’s heritage. You'll be encouraged to make use of these facilities for module projects or dissertations, giving you valuable experience of different types of research. In your first year, you’ll study core modules introducing you to the structure and use of the English language, as well as the key concepts of linguistics and phonetics such as how speech sounds are produced, how grammars are organised and how language conveys meaning. You’ll then be able to build on that knowledge in the following year, when you’ll learn more about phonetics and syntax in linguistics, and the social functions of language in English. At the same time, you’ll be able to choose from a range of optional modules. In linguistics, this could mean studying language and gender, language acquisition or psycholinguistics, while in English you could study the language of the media, corpus linguistics or forensic linguistics. By your final year, you’ll be able to apply the critical skills you’ve gained to an independently researched dissertation in either subject. You’ll then choose at least two optional modules in that subject, and up to two in the other subject. Optional modules span across the full range of English and Linguistics, in areas such as language processing, language and gender, or the politics of language. We use a wide variety of teaching and learning methods so you can make the most of our tutors’ knowledge and experience. Lectures, seminars and tutorials are all part of the mix and in some cases workshops may also be involved. However, we attach a lot of importance to building your research and critical skills, so independent study is also an important part of the degree. Support is on hand, and the University Library offers training programmes to help you get the best from our excellent library resources. Exams and essays are the most common forms of assessment that we use, but in some modules oral presentations and group work may also be included. We run extra classes throughout your degree on key issues like structuring an essay, public speaking and exam technique. A-level: AAB including A in English. Pass diploma with 60 credits overall, including at least 45 credits at level 3, of which 30 credits must be at Distinction and 15 credits at Merit or higher. The Access course must include English modules. An interview and a piece of written work may also be required. 35 points overall with 16 at Higher Level including 6 in English at Higher Level. AB in Advanced Highers including A in English and AABBB in Highers, or A in English in Advanced Highers and AABBB in Highers. Typical Access to Leeds offer: BBB including English and pass Access to Leeds. A degree in English Language and Linguistics equips you with valuable skills for a range of careers. You will have used both quantitative and qualitative research methods, and developed a varied set of skills across arts-based and scientific disciplines. You’ll be able to study and analyse different types of data, including qualititative and quantitative, and use technology to solve problems. You’ll have an advanced understanding of communication and strong research skills, while you’ll be able to think critically about the information you find. What’s more, because you’ve managed two subjects during your degree, you’ll have good organisational and time management skills. As a result, graduates have pursued a wide range of careers including publishing, law, advertising and marketing, journalism, education, charity work and business and finance. Many also move into postgraduate study, including further training for careers in roles such as teaching or speech and language therapy. We do everything we can to support your career ambitions. As well as the chance to study abroad or spend a year working in industry, you could choose to apply for one of the internships the University offers every year to gain real work experience and explore career options. 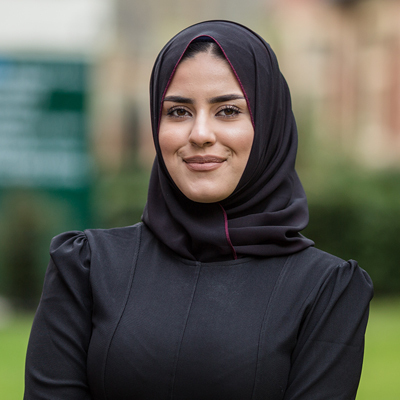 You can read more about the range of careers our English Language and Linguistics graduates progress into, as well as the support we offer you throughout your degree.